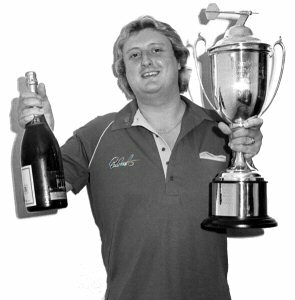 The death of Eric Bristow, aged only 60, in April sent shockwaves through the world of darts, and the sporting fraternity in general. She also spoke movingly and honestly about his gambling, saying she was shocked to discover exactly how much money he would spend on fixed-odds terminals when the couple started dating. She said he promised faithfully he would stop and although he did to an extent he couldn’t go totally without a bet every now and again. Whilst it was obvious he continued to have a regular flutter and was obviously being a lot more responsible, there are many other ways out there to find inexpensive ways to bet online safely. Opening up about their final moments together he’d told her to put the darts on the TV because he’d be home by 8pm that evening. She said she kissed him goodbye - which was hard knowing that she now knows he’s written in his diary of his feeling unwell. She told him she loved him and went about her day. When she got in at 7pm she put the darts on the TV but her phone rang shortly afterwards with a message from his driver Joe to say that’d he’d collapsed. She went around to their neighbours to break the news and collapsed in a heap - and then knew the next job she had to do was to ring and tell his children. She says she was glad she got to do it before they’d got to the TV as within minutes of the terrible incident occurring, Sky Sports were reporting it. She says the outpouring of love and affection has helped get her through the last month.